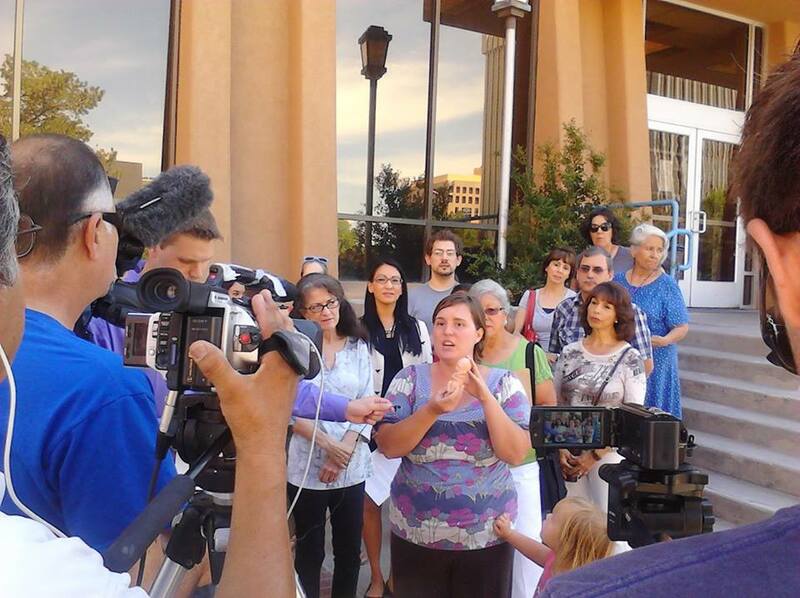 Albuquerque, NM- On Wednesday, August 28th the Albuquerque City Clerk confirmed that the required 12,091 signatures had been certified to ensure that the Pain Capable Unborn Child Protection ordinance will enter into the next phase of the City Charter’s process. “This is true progress for New Mexico, in a state where abortions are being performed through all nine months of pregnancy on viable babies who would survive outside the womb if born. This ordinance is the least we can do to give a measure of protection to both women and children,” stated Tara Shaver. The ordinance has now been given to the Albuquerque City Councilors. They have 14 days to act or ignore this measure. This is the process set forth in the Albuquerque city charter, the councilors have the legal right to adopt this ordinance outright. However, if they ignore it then according to the process the measure will go to the people for a ballot vote. The people of Albuquerque have let their voices be heard in support of this bill, 26,900 signatures were submitted to the city clerk in just 20 days. “It is clear that the people in this city want late term abortions to end, in fact 2/3 of Americans support the ’20 week fetal pain ban’ and understandably so, late term abortions are indefensible. 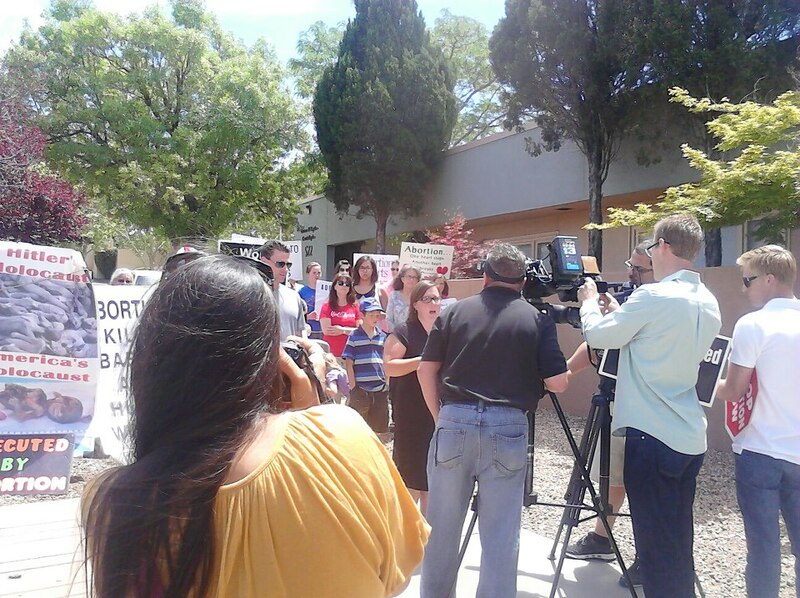 The people who made this effort possible do not want to see this measure ignored, late term abortion has been ignored long enough in Albuquerque,” stated Tara Shaver. Project Defending Life is calling on City Council President Dan Lewis, who is also a local Pastor, to present this to the city council for a vote to adopt this ordinance within the next 14 days. City officials have the responsibility to act and to ensure the safety of all of those residing within their jurisdiction. The American people are looking for leaders that will represent them boldly and uphold their wishes. 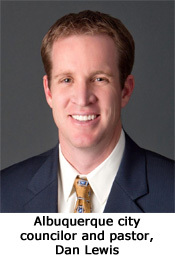 We ask nothing less than what the city councilors were elected for and that is to represent the people of Albuquerque. Our city councilors have a chance to make history in our city, please urge them to do so. To find out who your city councilor is click here. You may contact them all though. As things heat up in the city of Albuquerque, we must daily ask ourselves; What am I willing to do to protect those dying in the wombs of their mothers? Am I merely willing to talk about how horrible it is? Or am I willing to “expose the deeds of darkness” (Eph. 5:11) and do what it takes to help women choose life for themselves and their children. Our recent Survivors Camp and Town Hall Meetings have clearly woken up Albuquerque and exposed its atrocities. The city is at a turning point and the entire nation is watching and waiting for the final outcome. Will there be some form of justice for the innocent in Albuquerque or not? 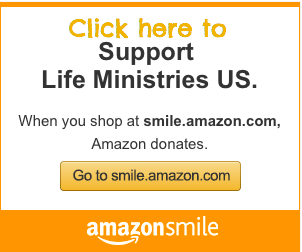 It’s no surprise that as we move forward we are met with resistance by those who oppose life. One by one across this nation our constitutional freedoms are being being stripped away and Albuquerque is no different. We must never shirk back in the face of opposition. We must stand together and be united. On Tuesday, August 27th the Board of County Commissioners will attempt to restrict the First Amendment of the Constitution, the freedom of speech and the right to peacefully assemble, to the unincorporated areas of Bernalillo County including Los Ranchos de Albuquerque. Abortionist Larry Leeman lives in Los Ranchos de Albuquerque and for 3 years has lurked behind the scenes even though he performs abortions through 22 weeks at the University of New Mexico Center for Reproductive Health (UNMCRH). He also teaches UNM Residents to perform abortions. He purposefully takes innocent lives on the days he is not delivering babies at UNM Hospital! His community needs to know what he is doing to children with our tax dollars. Please contact (call and email) the two sponsoring Bernalillo County Commissioners TODAY and ask them not to cower to the pro-abortion lobby that wants to provide anonymity to those brutally murdering children. Remind them that by passing this ordinance they will be infringing upon our rights as American citizens by restricting residential picketing in the unincorporated areas of Bernalillo County including Los Ranchos de Albuquerque. Also, attend their meeting, sign up for public comment and be a voice for those of us who still believe in the constitutionality of the First Amendment. Thank you to everyone who worked so hard to collect signatures for the 20 week abortion ban here in Albuquerque. The fact that 27,000 signatures were collected in just three weeks is a powerful testimony to what can be accomplished when we get activated to stand for life. Currently, we await the signatures to be validated by City Clerk’s office. According to recent news it appears that they have picked up the pace in completing this process, although we are still not sure which ballot this ordinance will appear on. Either way, we believe that we will get the ordinance passed because late term abortions are indefensible and most Americans support banning abortions after 20 weeks. In the meantime, we must be pro-active and contact our city councilors. There has been much speculation about how much a special election will cost the city if it comes to that with this ordinance. Let’s not forget that that we as New Mexicans already fund abortions 100% through New Mexico Medicaid. Banning lucrative late term abortions will save our state money, protect our women and children. Please, respectfully, contact our city councilors (call and email). They must hear from us this week before their next meeting on August 19th. 1. Adopt the Pain Capable Unborn Child Ordinance due to the overwhelming amount of signatures that were collected (in 3 weeks). The citizens of Albuquerque clearly want this ordinance enacted. Adopting the ordinance allows us to bypass an election altogether and saves the city money it would spend on a special election. 2. (IMPORTANT) Pass a resolution to allow the sponsors of the measure to defend it against any challenges. This means that once the ordinance is voted upon and passes, if it is challenged by those who are pro-abortion we would be able to defend it in court and again save the city money. We would utilize our own attorneys and the burden will not be on the city to do this. Also, plan to attend the next City Council meeting on August 19th (5:00pm) to express your approval of the ordinance as well as the points above. Sign up for public comment at the back beforehand. Please do this right away and thank you! This is our chance to make history in Albuquerque, the nation is watching and waiting to see the outcome. Join us in prayer that the citizens of ABQ will take a vital stand to protect women and children from abortion.